National Government Has Become An Absolute Imperative. Saeed A Malik. From 2008 onwards, the central aim being pursued by the governments in power stood naked and exposed, without a shred of modesty nor any sense of shame. This central aim was to loot Pakistan. There is therefore a direct correlation between the exponential rise in Pakistan’s national debt and the assets of its”leaders”. Our national debt is not just a serious issue. It is potentially a catastrophic one. This is not a matter for speculation which may be argued against, for this a mathematical reality. The figures are out there. Our debt is known and so is our income. It is also known that we do not have the income to repay our debt, the first installments of which are due from us in 2018. Non-payment means bankruptcy. And bankruptcy means economic sanctions at the very least. To avoid these sanctions a pound of Pakistan’s flesh will be required by the lenders. And one does not need to guess too hard that this pound will include our nuclear assets; an end to CPEC; and a free hand in Baluchistan. In short Pakistan will lose its defense capability; will be truncated for all practical purposes; and its only chance to get out of its present economic mess will die the death of an unrealized dream. In short, the level of corruption in Pakistan and the huge national debt this has spawned, are existential threats to the viability of our independent existence. There is also a nexus between the looted money and terrorist funding. Our leadership has therefore given us the twin gifts of economic catastrophe, and its financial support of terrorist groups. Either of these gifts would have been enough, in the long run, to have taken Pakistan down. But coming together, their lethality could well wring Pakistan’s neck. It is often suggested by the apologists for the government that the real cause of our debt is the costs incurred due to the war against terror, whose smooth execution has actually been hindered by the government i.e they have stood with the enemy in this war. Be that as it may, the fact is that the almost seventy percent fall in the prices of oil has more than met the costs of the war on terror. The cost however which cannot be met is the cost of economic terrorism waged by our leadership against our country. But the immensity of the theft that was visited on Pakistan leads one to ask, how could this have even been possible? The answer to this question is a very simple one for those that have the honesty to face the problem squarely without blinking. This situation is the direct result of the “system” which is trying to masquerade as a democracy. The public representatives elected to parliament are not elected to legislate and govern. 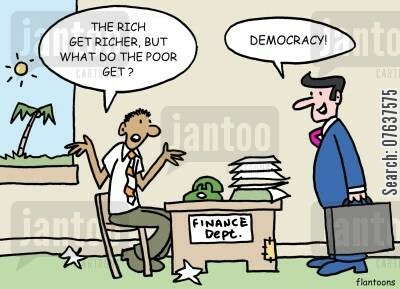 They are elected to loot and plunder the state, because the very order is based upon a ” returns on investment” system. In short this is a system where “madate” has come to mean a mandate to loot and plunder. The logic being spewed by a frothing Nawaz Sharif to proclaim his innocence tells us that this interpretation of “mandate” is the one he goes by. Under this “system” the one seeking a seat in parliament has to first make an investment, which begins with his purchase of a ticket from those who supposedly give us our “democracy”. A person who “invests” ten crores to get elected, comes motivated to earn fifty crores if elected. Thus the “system” is rooted and founded on theft and villainy. And that is what should be expected from it.You cannot expect to sow bramble, and hope to get roses. At the level of a political party, this system metastasizes into a vast criminal enterprise, which was what both Zardari and Nawaz Sharif were running. The mechanics of this “system” are very easy to understand. To commit economic fraud on your country you cannot do it alone. You need to be facilitated. And this facilitation is done by the secretary of your ministry. And so you get yourself a corrupt secretary. And here begins the undermining of the bureaucracy. Pretty soon you have placed all such institutions which can help you make or hide money [like the FBR, SECP, OGDC etc etc] under corrupt bosses. With the passage of time the whole civil service becomes diseased, ministering only to you at the cost of national interest. The second enterprise you embark upon is to give yourself immunity from the law and any form of accountability. For this you subvert the police, the FIA, NAB, and any and all such organizations which can hold you accountable, going right up to the judiciary. Lastly you want to ensure that the elections that are held, return you to power each time they are held. For this you rig the election commission, as well as the interim governments sworn in to hold elections, and take help from your man in NADRA. And lastly you amend the constitution to further strengthen your immunity from accountability and to ensure your perpetuation in power. This has divided the country between a rotten “elite”, and the hopeless rest, and driven the state to the margins of extinction. By the time you have “achieved” all this, the “system” that you have brought about, stands in direct opposition to any form of accountability and therefore against this central pillar of democracy: while a mangled constitution stands opposed to national interest. The situation therefore is so created, that any citizen who stands with national interest, will per force have to oppose the constitution. This is the sorry pass where the combined exertions of Zadari and Nawaz Sharif have dragged the nation to. The only institution which could not be subverted by this duo, despite their best efforts, was the Pakistan Army, and lately, a rejuvenated judiciary. But sadly, the army, which guards our national security, stood back and allowed the very foundations of the state to be undermined by mega corruption, without moving a muscle to thwart it. Without this negligence to duty, we could not have reached this stage. The system which uses the label of democracy but is geared to breed only criminals, needs to go and new one put in its place. The only way this can be done is to eliminate, as far as is possible, the promise of monetary gain from political office, so that increasingly such people enter politics, as are committed to serving the people and the country. The most important single step in this direction is to reform the civil service and the police. Each of these must have their own secretariats to deal with the promotions and postings and transfers etc of their cadres, so that no minister can have in his ministry a secretary of his choice. These postings should be done entirely on merit by the service itself. If the officer who facilitates the corruption of a minister is denied to him, theft and chances of it will greatly be reduced; while a relatively independent police force, largely operating without political interference, will take away the comfort of immunity which is now being enjoyed by all the ministers. Any constitution and system of laws is predicated on the assumption that those sworn to uphold it, will be the last ones to undermine it. But in our case these are the very people who have mangled the constitution, and they subvert the spirit of what is left of it, on a daily basis. And there is little to hold them accountable. Just examine the situation that this criminal enterprise has brought about. We have a prime minister in parliament; we have one in Jati Umra to whom all the ministers report; and we have one in the shape of Maryam Safdar whom all the ministers who once constituted her “gaali galoch” team, report to. Together these three prime ministers have one aim in common i.e they are all committed to undermining and conspiring against the Supreme Court and the Pakistan Army, the only two institutions left standing. They are openly violating every legal norm, and the relevant articles of the spirit of constitution in doing so. This, then is your “system” which, it is daily alleged, is in danger of being derailed. This is a joke that has lost its hilarity and must now be terminated.This system must not only be most assiduously derailed, but mercilessly beheaded. Pakistan is in the grip of a dire emergency. This emergency should be recognized and declared before further harm can be done to the state. This is the job of the President, the C.J and the Army Chief, who should join together to come to the aid of the state. They must bring to an end, this criminal enterprise about whose criminality little doubt remains. They must not allow it further tenure to commit grievous wounds on the state.The President should announce national emergency and the formation of a National Government while the supreme Supreme Court must give radical new interpretations of law to give legal cover to every such measure as is deployed towards salvaging the state. And the Court must invoke all relevant articles of the constitution to take assistance from the Army to stem the current rot. — as the first order of business,immediately put every suspected criminal on ECL pending investigation and trial. –form, with the help of the Supreme Court, summary courts to try people for corruption. The proceedings of these courts should be monitored by the Supreme Court. –define mega corruption and institute death penalty for it, convertible to life imprisonment in case the convict repatriates wealth stolen from the state. –set in motion efforts to retrieve Pakistan’s stolen assets stashed abroad. –suspend the 18nth amendment of the constitution, and issue ordinances to give legal cover to its actions. –dismiss the large numbers of civil servants and police officials who have acted as personal servants of people exercising political power, to the detriment of the state. And retrieve from retirement such officers of these services who had a reputation for integrity and ability, and place them in the most important slots ravaged under the present dispensation. –set in motion reforms of the civil and police services so that these institutions become independent of political masters of the future. –issue an ordinance to the effect that all citizens under any indictment in a court of law, may not take part in any political activity till cleared of the same. –ensure that elections to parliament are held no later than eighteen months, but those fighting such elections must sign a declaration that if elected, they will sign into law all such ordinances which have been issued by the national government. –among the first orders of business, get into negotiations with the Chinese government, on a bail-out package, should Pakistan not be able to meet its international debt obligations. –define mega corruption and include it among national security imperatives, and create an institution where it can be monitored,freely debated , and killed in infancy. A national security council could be such a forum. –define a minimal politcal role for the army insofar as national security issues are concerned. The army and its heft are a reality. To treat this reality as non existent, is to hobble the system through imbalance. It is this imbalance which has resulted in the present situation. Had there been a functioning and effective national security council to take up corruption issues at their incipient state and squelched their further progress at that stage, things would never have reached their present pass. A very good example here would be the huge LNG scandal. The press reported it when this fraudulent deal was being hammered out. It could have been killed in childhood, but it was allowed to prosper. And now it will kill tens and thousands of our children because of the consequences of poverty it will visit on so many additional families. In the past, army generals have moved in to redress an emergency situation. Emergencies are temporary phenomena, but the generals made their reigns permanent. And the Courts gave legal cover to the generals to get away with it. This did immense harm to both the army and the country. Now here is a chance for both the Judges and the Army to redeem their past, and to give their country a future. P.s. The most malign and effective adjunct of the criminal enterprise is NAB. If the Supreme Court is really serious about seeing its orders being implemented, they must begin with throwing the book at Qamar Zaman Choudhary. They must take the space away from petty hoodlums which they are using to do incalculable harm to the state. And the Court must follow and put away in jail, all those who have committed contempt against it, and are continuing to do so. This will take the pith out of Nawaz Sharif’s “revolution”, and reduce the insignificance, which should always have been his station in life, but for Gen Jilani’s one egregious mistake. Legal action against Nawaz Sharif’s section commanders will take the wind out of the potential anarchy which is being sought to be built up by him, and the instability craved by him will be stayed. 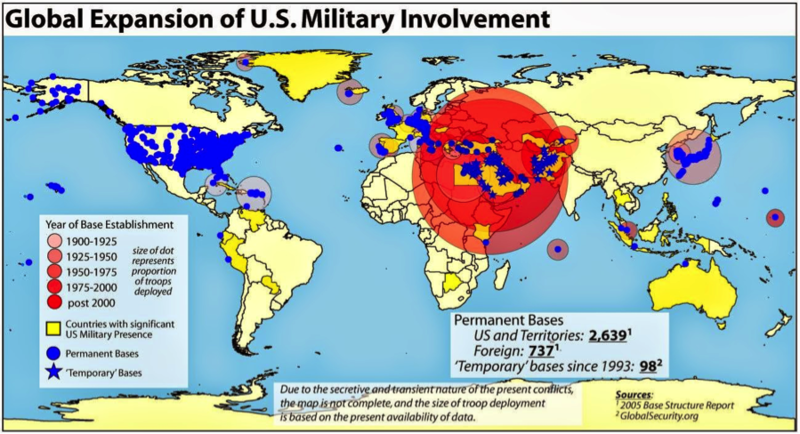 Trump is dragging the US military, already pretty thinly spread, to enter nuclear armed and China’s ally Pakistan. It can trigger Third World War . Two hundred million Pakistanis will fight to the last man.Vietnam and Gulf War would look like boy scouts jamboree.. And India will be nuclear toast, if it attacks Pakistan from Afghanistan. India’s nuclear weapons are unreliable. had become the persistent tension in the Middle East. Assad’s government acted aggressively and crush the protestors by the use of deadly force. proxy battleground because of the involvement of the world and regional powers. 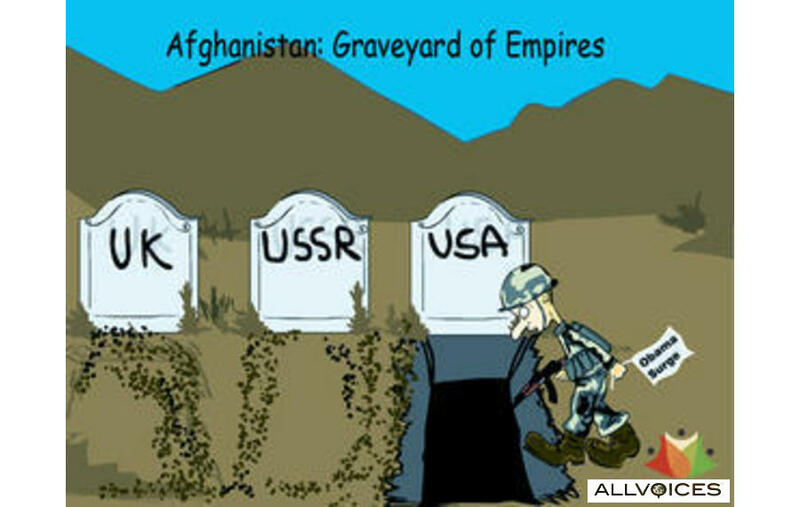 Iran and Afghanistan) US ( Saudi Arabia, Qatar, Turkey and Israel). 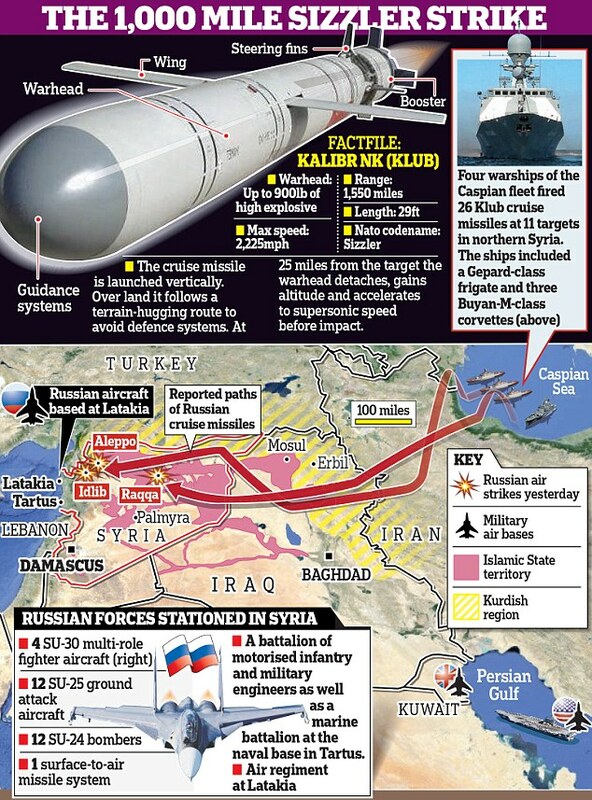 Syria is strategically and economically important to both US and Russia in the Middle East. 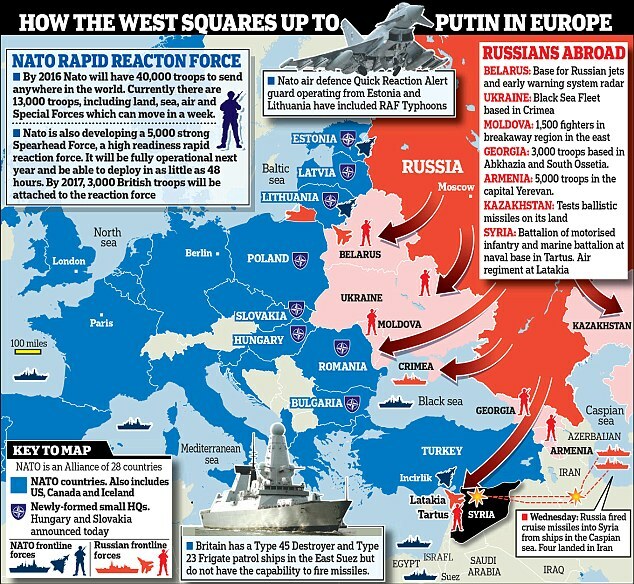 weaken the Russian influence in Syria, as well as in the Middle East. (Islamic State in Iraq and Syria). US with the help of its Kurdish Allies is countering ISIS. Al-Qaeda have been sending its militants to the Syria to support the Assad’s regime. 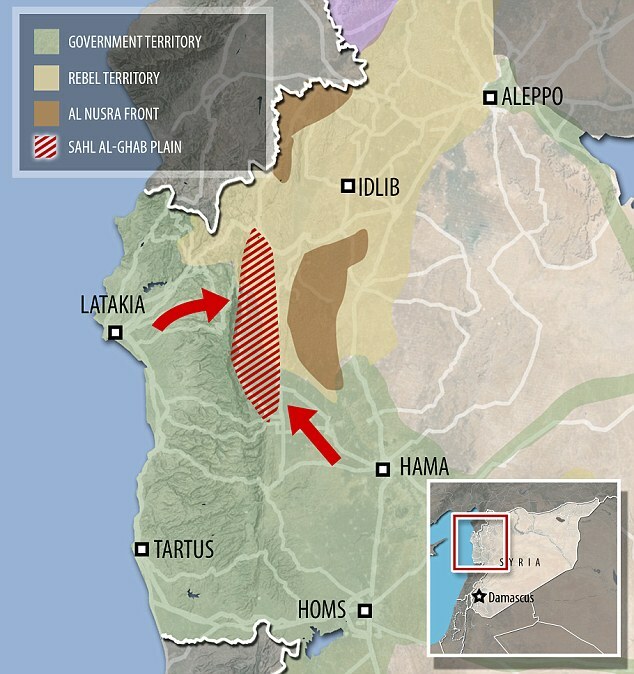 Strategically, the civil war in Syria will have enormous impacts for the region and for the US. enemies of the US in the Middle East. The mention of one tiny country appears to strike at the rationality and sanity of those who should know far better. On Sunday, 6th August, for example, The Guardian headed an editorial: “The Guardian view on sanctions: an essential tool.” Clearly the average of five thousands souls a month, the majority children, dying of “embargo related causes” in Iraq, year after grinding year – genocide in the name of the UN – for over a decade has long been forgotten by the broadsheet of the left. Horrified as he was, he did not mention the incinerated women, children, infants in the same breath. This month “massive land, sea and air exercises” involving “tens of thousands of troops” from the US and South Korea began on 21st of August and continue until 31st. The obligatory stupid name chosen for this dangerous, belligerent, money burning, sabre rattling nonsense is Ulchi-Freedom Guardian. It is an annual occurrence since first initiated back in 1976.